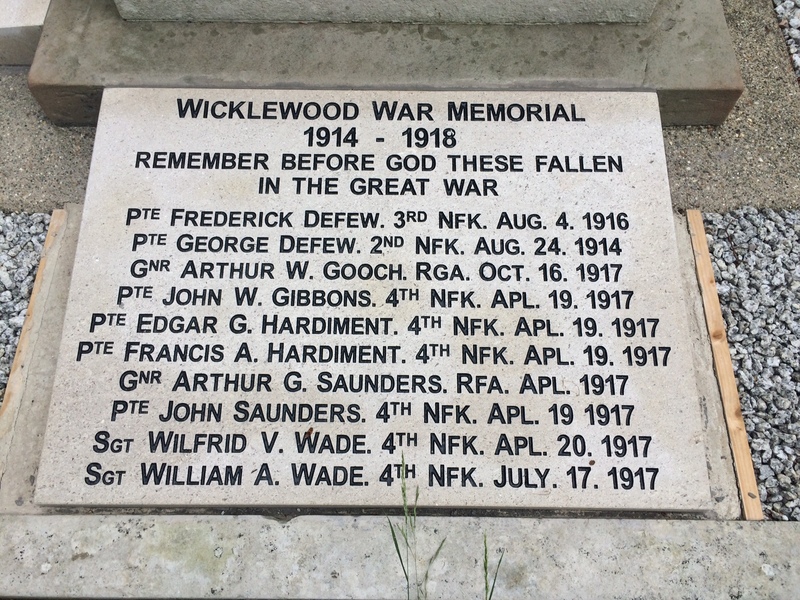 In 2015 the Parish Council, together with the PCC, the support of the residents of Wicklewood and grants from national organisations undertook to renovate the War Memorial situated at the south door of St. Andrews and All Saints Church in Wicklewood. 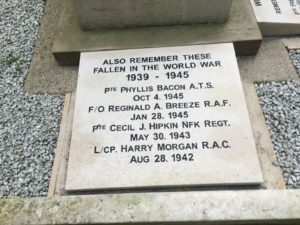 The memorial was cleaned and some chisel work undertaken but, due to the deterioration of the stonework, it was not possible to re-ink the lettering on the memorial. 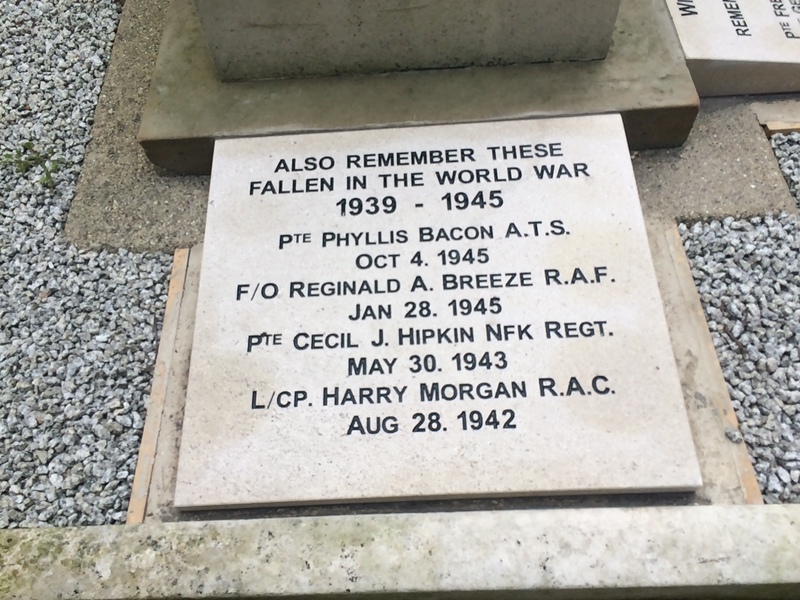 Instead two plaques were provided; one with the names of the fallen from 1914-18, the second for 1939-45. Pictures of these plaques are below. Welcome. 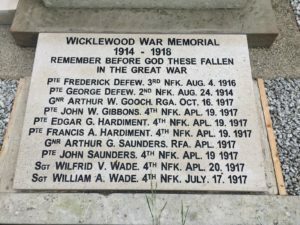 This website aims to provide a snapshot of life in Wicklewood and Crownthorpe, as well as keeping the public up to date on the activities of the Parish Council. If you have any feedback or comments regarding the website, please feel free to email the Parish Council at [email protected].